Currently painting some rather nice figures from TAG. TAG have started a Kickstarter to help fund the range, all beautifully sculpted by Nick Collier. 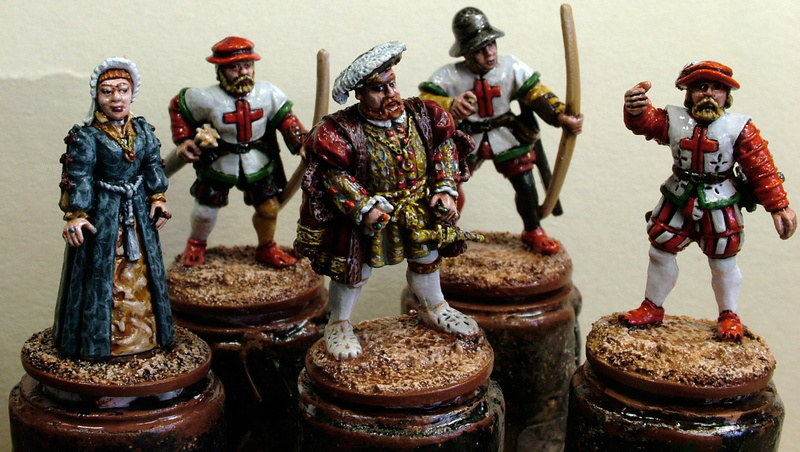 The TAG Kickstarter is HERE, the figures are some of the best historicals I've ever seen. in acrylic sealer. After 24 hours I repeat the process. Wait another 24 hours and apply some gloss varnish. Finally I matt the figures. ps I am now feeling that my minis are very under protected. Very nice figures, great work!